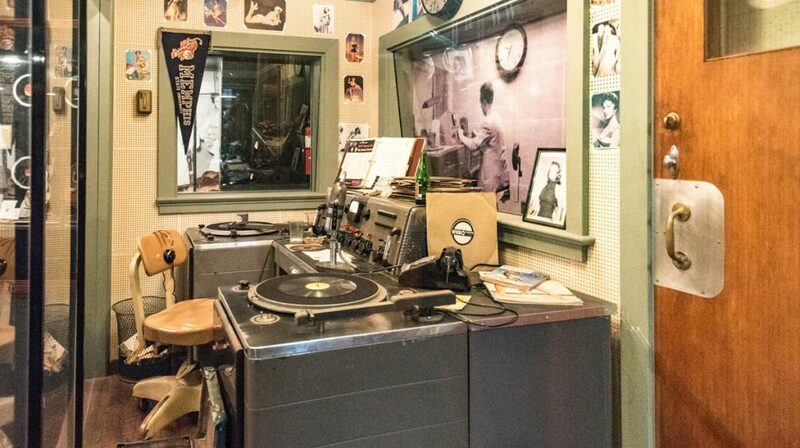 The Spirit of Elvis and Johnny Cash is alive at Sun Studios, Memphis - WattWhereHow? Have you ever been to a place where you feel like you could be right beside those who made it so special? 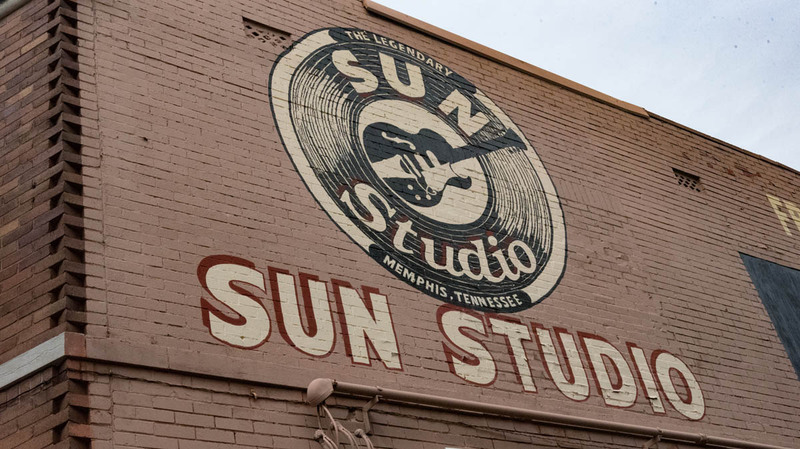 That’s a sensation you will feel at Sun Studios on Memphis’ Union Street. 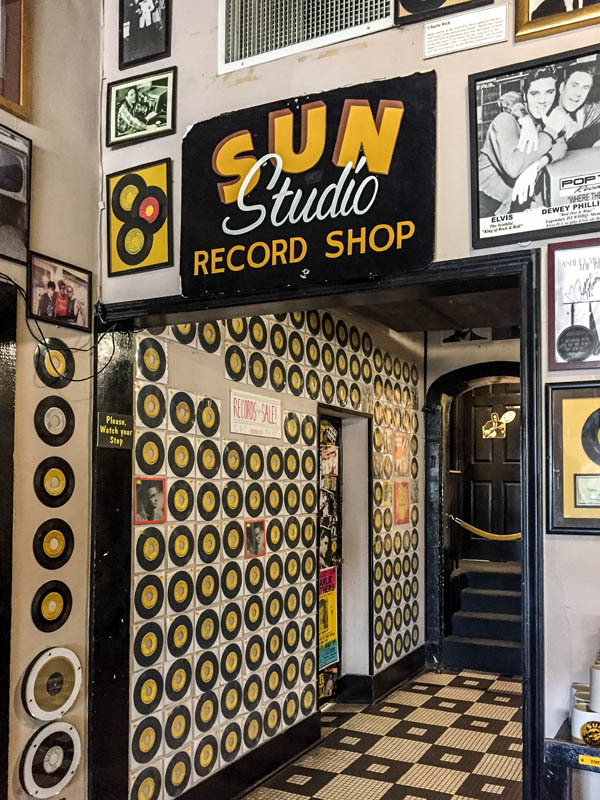 Sun Studios’ humble exterior and interior belies its rich backstory, breaking rock and roll’s pioneers like Jerry Lee Lewis, Carl Perkins, Ike Turner, Johnny Cash and a little-known truck driver from Tupelo, Mississippi who would become the king of rock and roll. 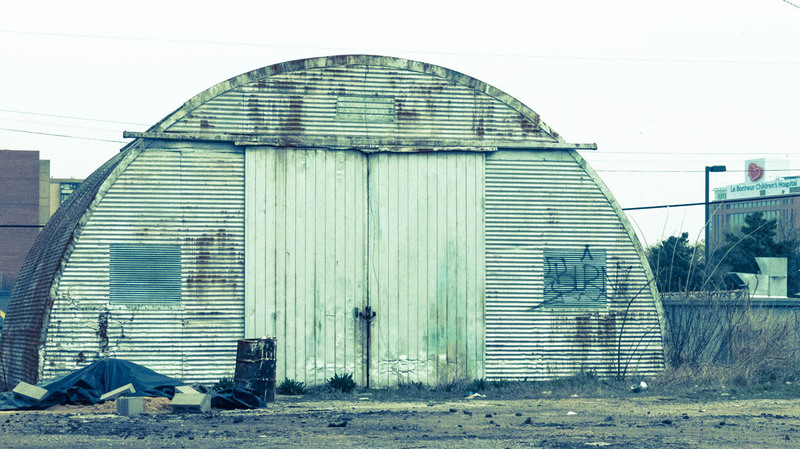 Oh, and there was that one Irish band who recorded their career defining album here and didn’t bother to take their drum kit with them – you may have heard of them – U2. 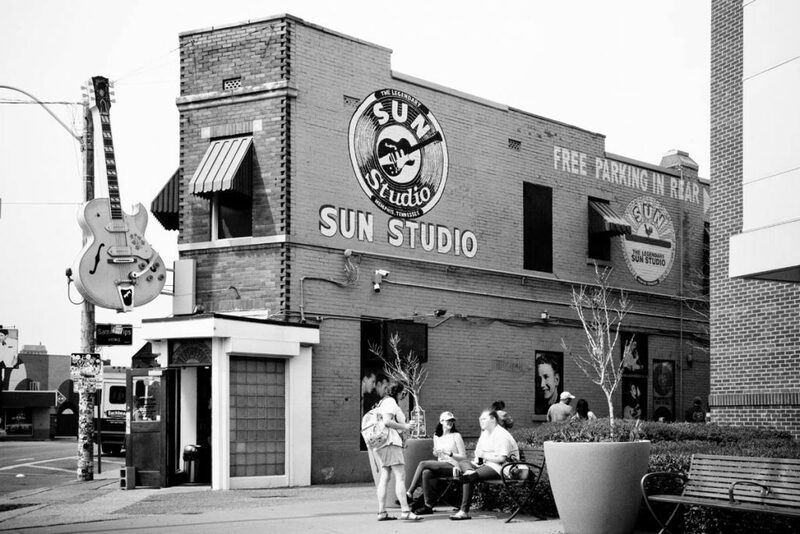 Sun studios is situated just out of town on union in an area that was predominantly filled with car workshops back in the 1950s. 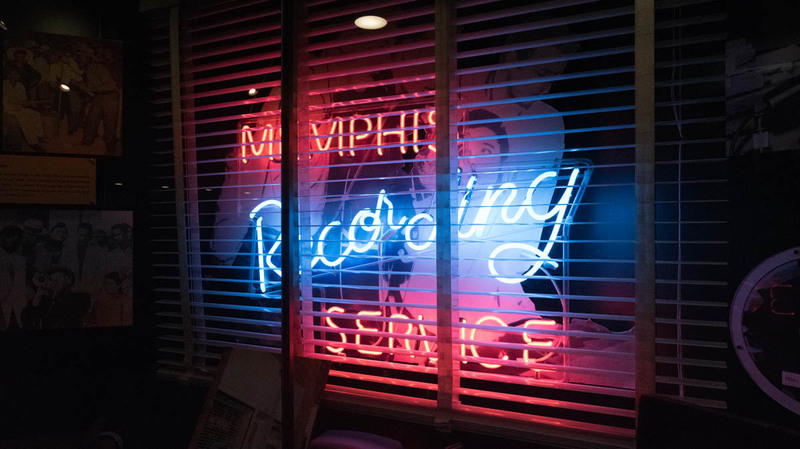 It’s here that legendary producer and rock entrepreneur first established Memphis recording services. Prior to that, Sam was a DJ at WREC, based at Memphis’ prestigious Peabody Hotel where he spun Big band tunes and recorded live sets from bands in the penthouse ballroom. 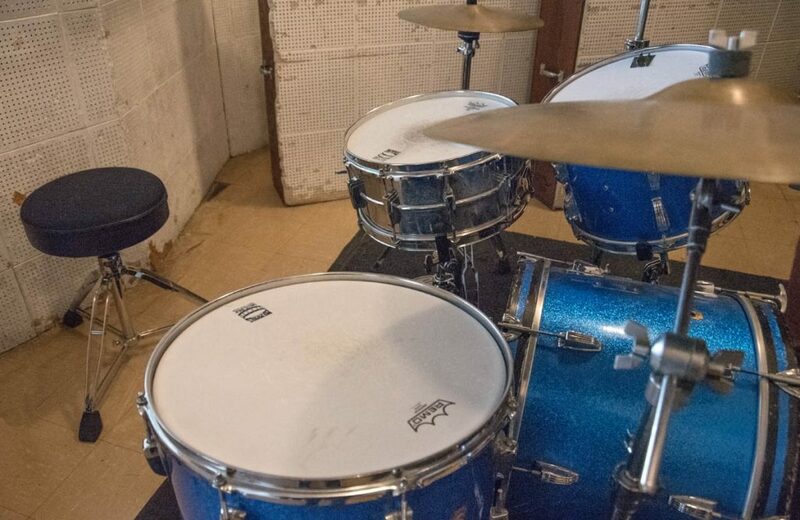 Obsessed with rhythm and blues, his studio catered for anyone and everyone – a place where anyone with a spare $4 could record a demo. 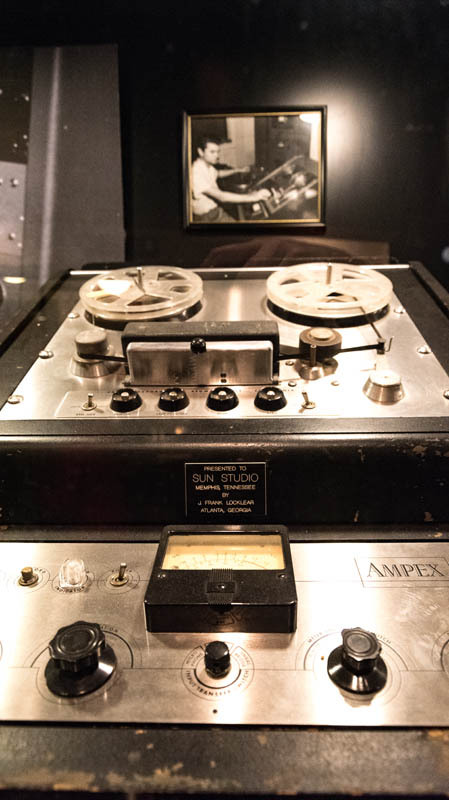 His rig allowed recordings on the road and simple vinyl pressings that meant as soon as a session was over, it could hit the turntables. 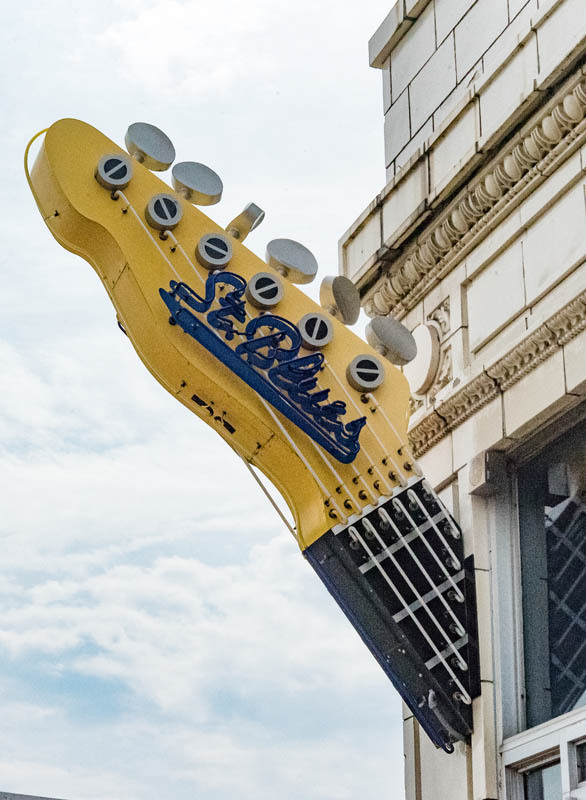 Sam’s love of African American groove and Beale Street’s blues scene soon connected him with rising stars B.B. King, Ike Turner and Howling Wolf. 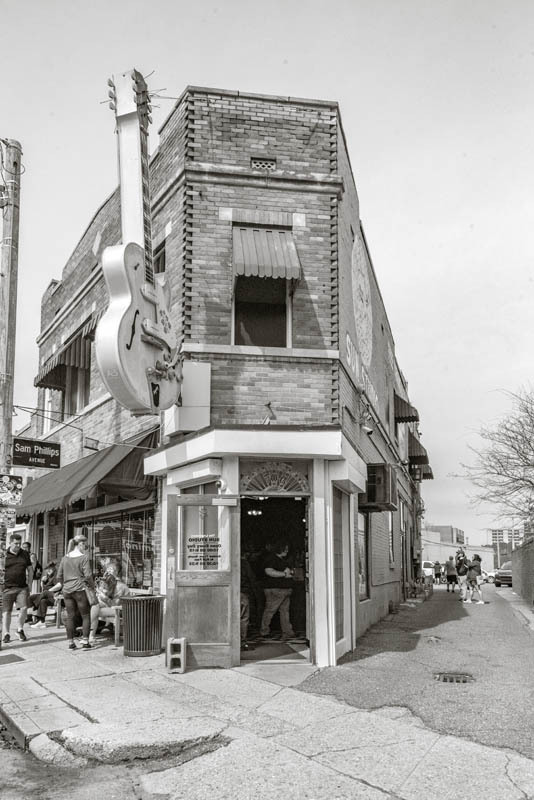 Ike became his talent scout, spotting up and coming musicians and promoting Sun Studios as he played roadhouses and honkytonks across the south. B.B. 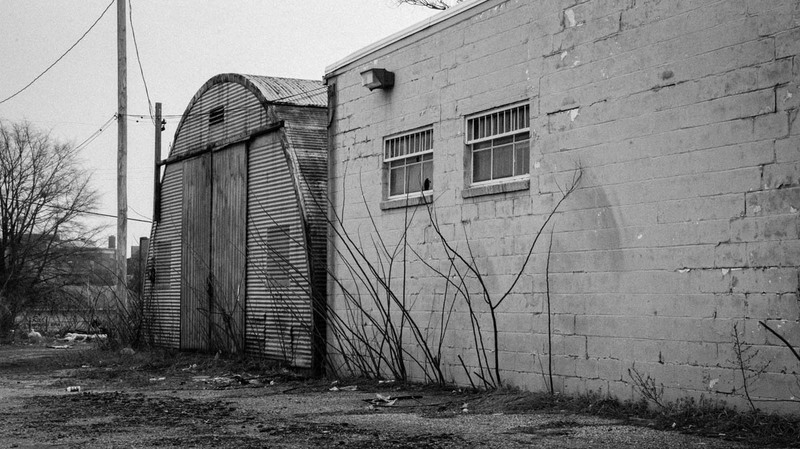 king released one of his first recordings here. It was the Rufus Thomas’s Bear Cat that was Sun’s first legitimate hit in 1953. Bearcat was an answer song, a musical retort that bore more than passing resemblance to Lieber and Stoller standard Hound Dog, recorded by Big Mama Thornton in the same year, earning Philips and Sun hefty legal fees. But he had his first taste of success. 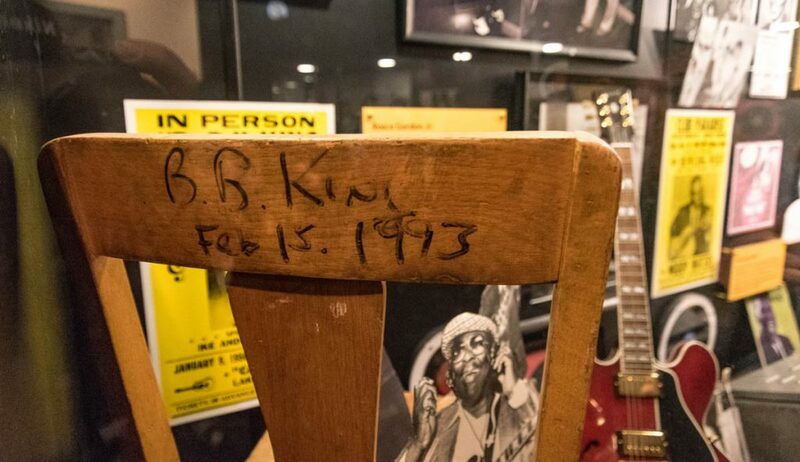 Musicologists trace the roots of rock n roll to an Ike Turner penned track called Rocket 88. 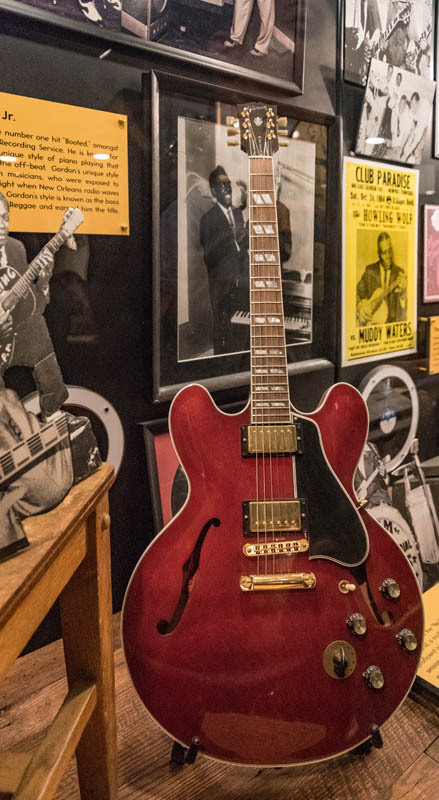 The track about a popular car of the time written by Ike and recorded with his band mates, Jackie Brenston and his Delta Cats is seen as the official first rock track combing distorted guitars and a back beat. 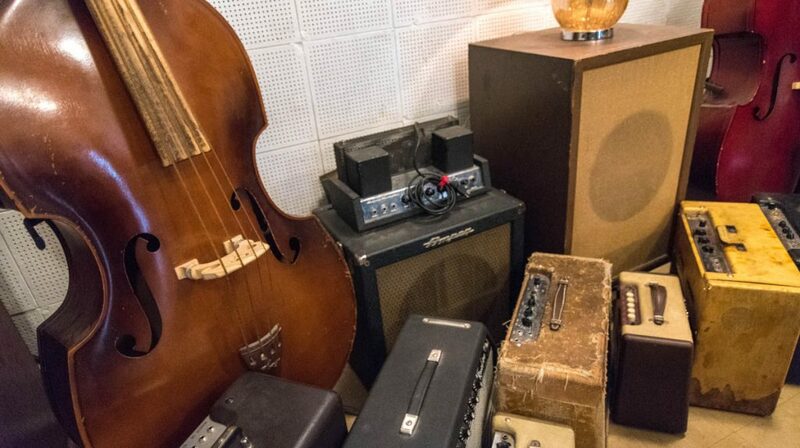 As part of its legend, the tube amp the group was carrying was damaged when it fell off the truck. The fall tore the speaker cone and broke one of the glass vacuum tubes. Hasty repairs were made including stuffing newspaper into the busted speaker cone, so the session could still go on. The resultant tone was thickly distorted, giving the track added grit and Philips knew this cacophony was something new and exciting. He was onto something special. The King of Rock N Roll was far from an overnight success. His first flirtations with recording at Sun were not at the behest of Phillips. It was Presley who came to the studio, not looking to land a deal, but to record a song for his mother’s birthday. At the time, his syrupy ballad attracted the attention of office manager Marion Keisker, who wrote a note on the recording and passed it on to Sam Phillips that said, “Good ballad singer. Hold”. Elvis returned multiple times over the next twelve months to record and hone his sound, keen to pursue fame and fortune. 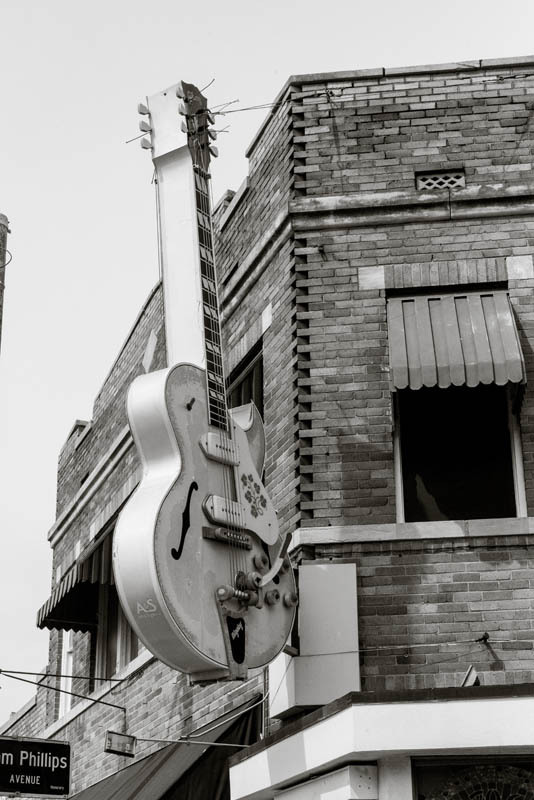 Philips had connected him with Scotty Moore and Bill Black. The rockabilly trio was jamming when During a change in tapes, Elvis started ‘goofing off’ and launched into a fast-paced rockabilly jaunt, Arthur Crudup’s blues-heavy, “That’s Alright”. Philips came running out from the control room – this was the sound he’d been looking for. 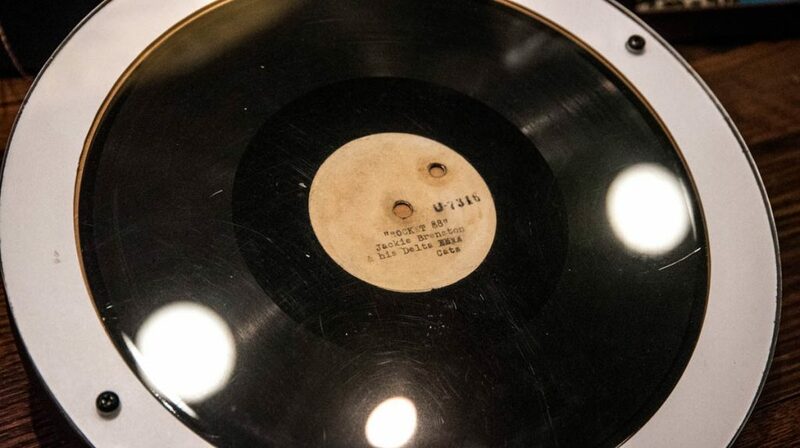 They captured it that night and three nights later, they had the fresh pressed acetate to Dewey Philips (no relation) of WHBQ, a station that mainly serviced the African American community by day and that played to a mixed audience after hours. Dewey played the fresh track multiple times in the one session on his Red Hot and Blues show and the phone was ringing hot. This track was going to be a smash! 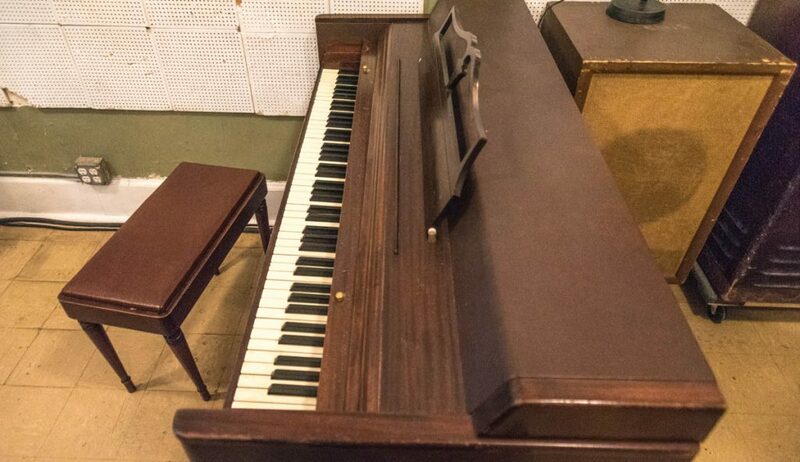 In a few short years, Sun Studios broke Johnny Cash, Carl Perkins and Jerry Lee Lewis amongst others. It offset the fact that Phillips sold out Presley’s contract to RCA for $30,000 at the time. 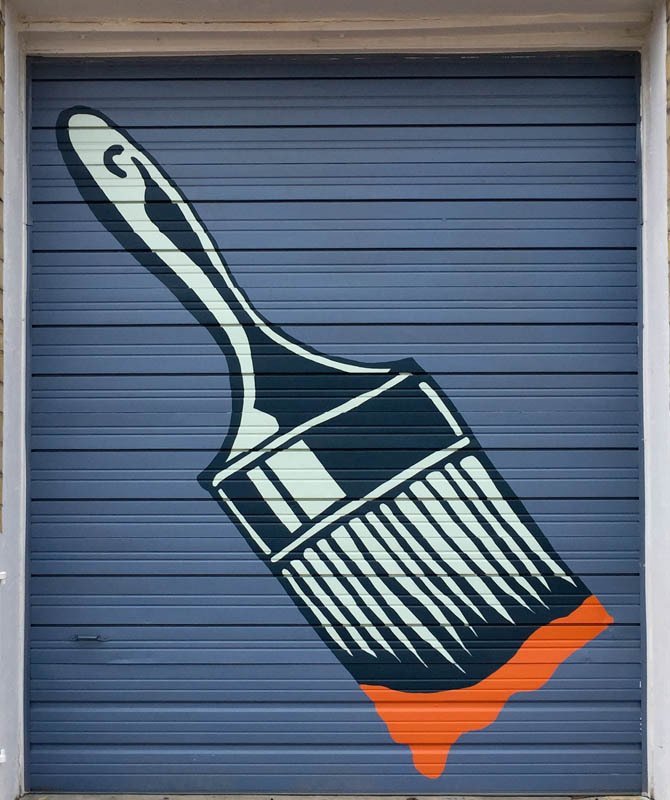 What may seem to have been a rookie move allowed him to pay off debts from legal disputes and to develop these other artists who all became the new vanguard of rock smash hit makers. Some of the tracks included Blue Suede Shoes, Great Balls of fire and I walk the Line. Ironically Elvis went on to record Hound Dog for RCA and it topped the charts for eleven weeks. But Phillips was doing ok. He used part of the windfall to heavily invest in Holiday Inns just before they became a household name ensuring he’d live well for the rest of his life. 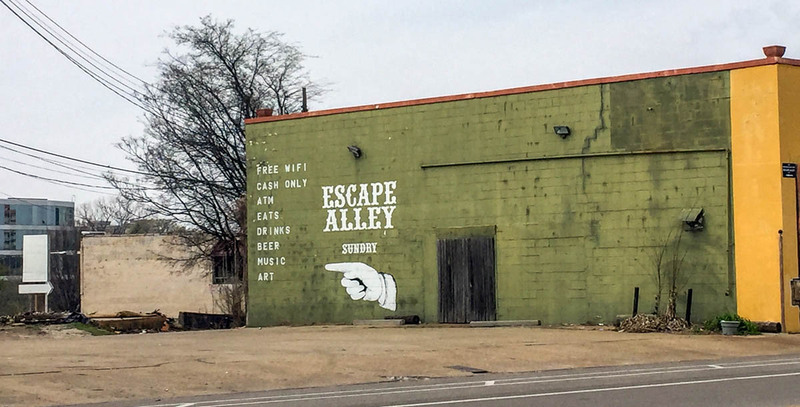 After selling the label in 1969, the studio fell dormant until it reopened in 1987 as a working studio and tourist attraction. 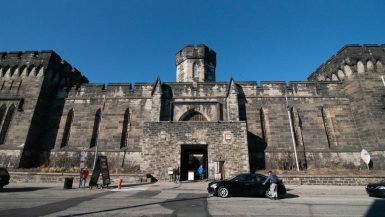 It was at this point went Irish rockers, U2 assembled within the hallowed walls to record three tracks that would end up on concert film and album, Rattle and Hum. 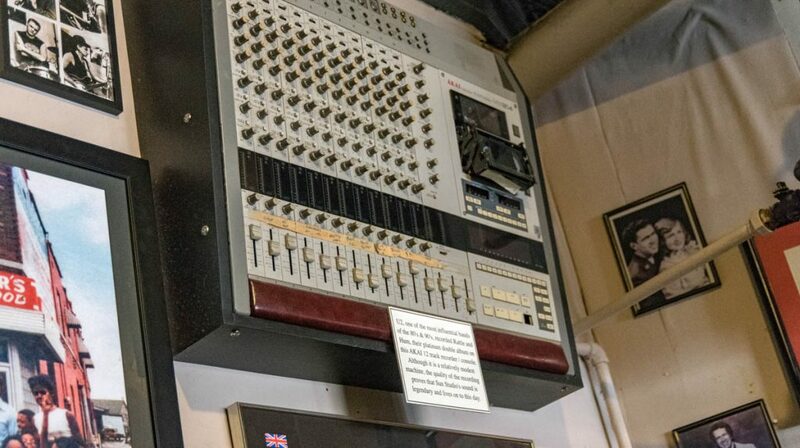 The 8 channel Akai desk they recorded on hangs from the wall in the gift shop/milkshake bar and as we mentioned earlier, the blue sparkle Pearl kit sitting in the main room was left there by Larry Mullen Jr.
Over the years, the studio had continued to attract big name artists from Def Leppard to Macklemore. They are drawn by the energy and sound of the simple studio. 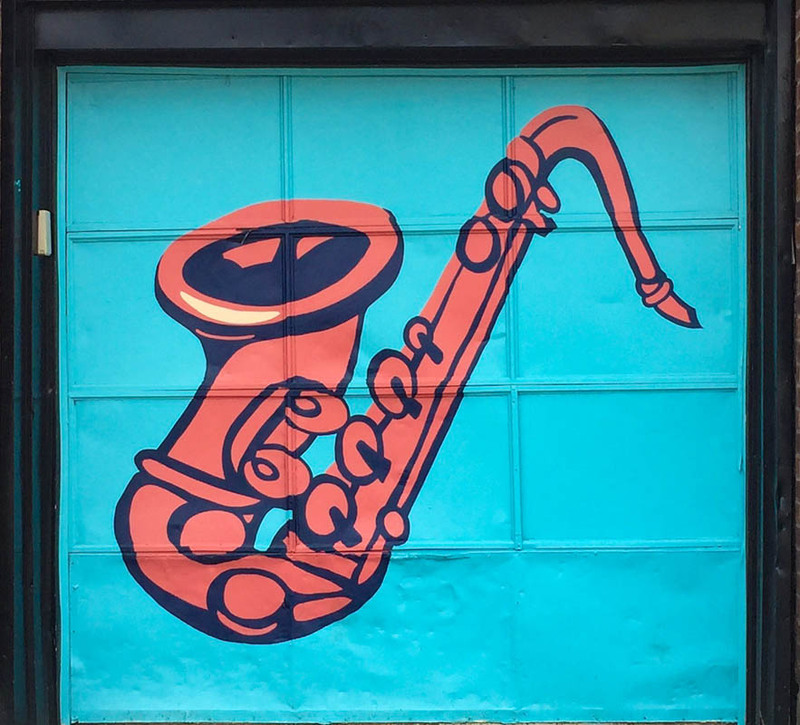 Today anyone can take the tour, conducted by local musicians who earn studio time in return (along with a wage). The tour starts in the gift shop where we’re taken up steep steps to a small museum. 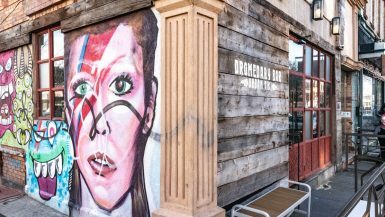 Pride of love is the newest piece, a wholly reconstructed DJ booth from the Chisca Hotel, where Dewey Philips broke Elvis on his red, hot and blue show in 1955. Dewey was renowned for not just making stars, but breaking hearts too, smashing the records of artists he didn’t like. 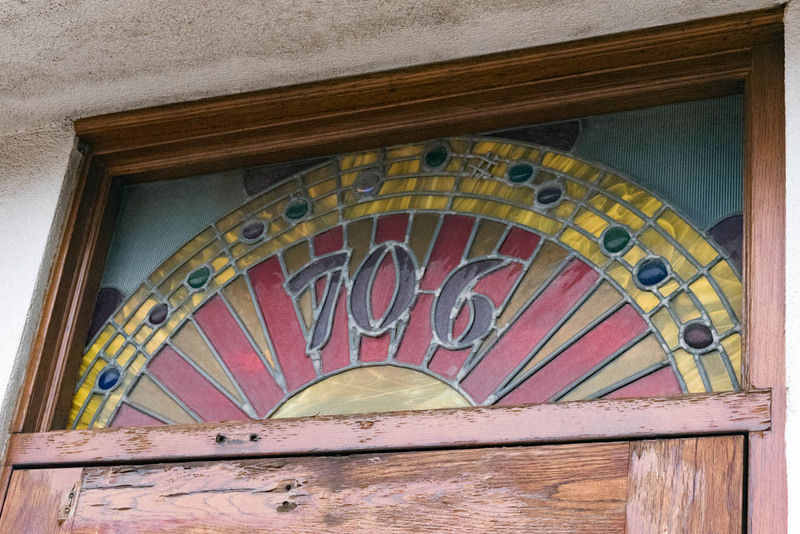 The humble museum houses treasures from the Philips’ past. 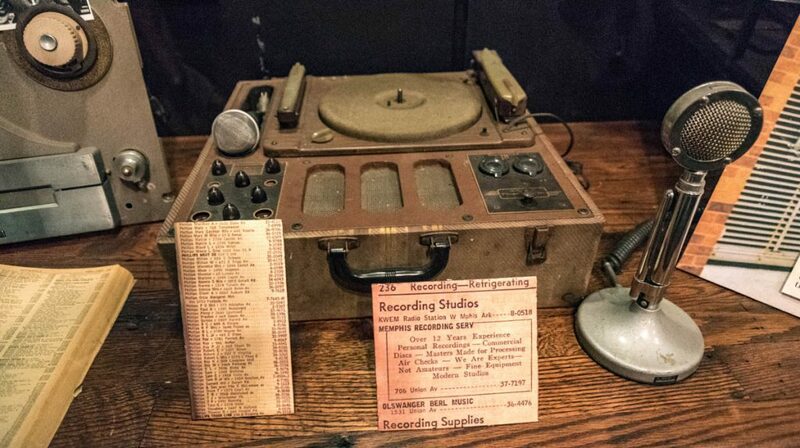 There are the early mobile recording systems he took out to barns and church halls to record musicians and speeches to raise money to launch his label. 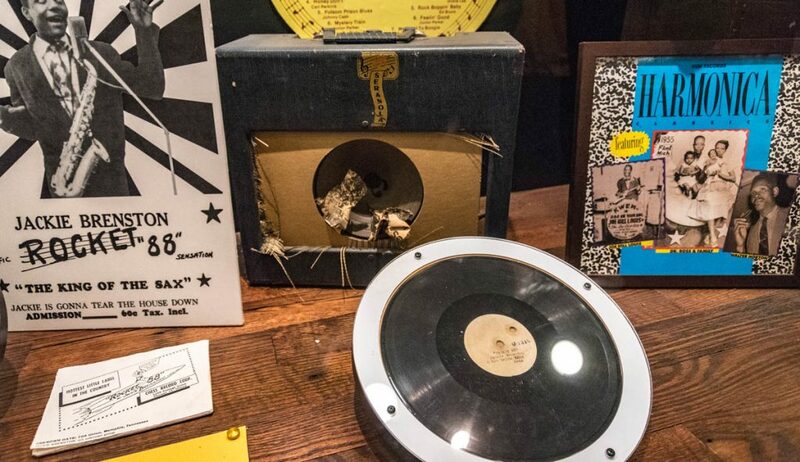 There are original pressings of Rocket 88 and gig posters from launches for howling wolf and Ike Turner. 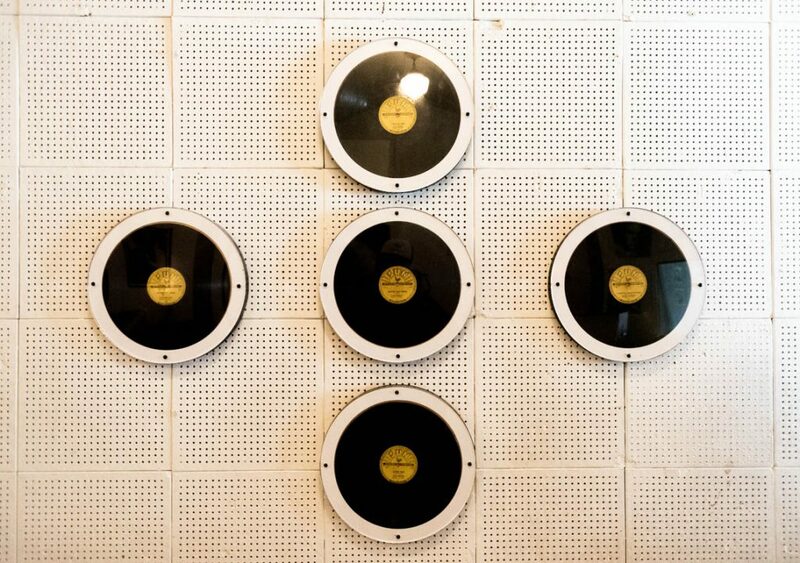 One wall is devoted to Elvis’ story. 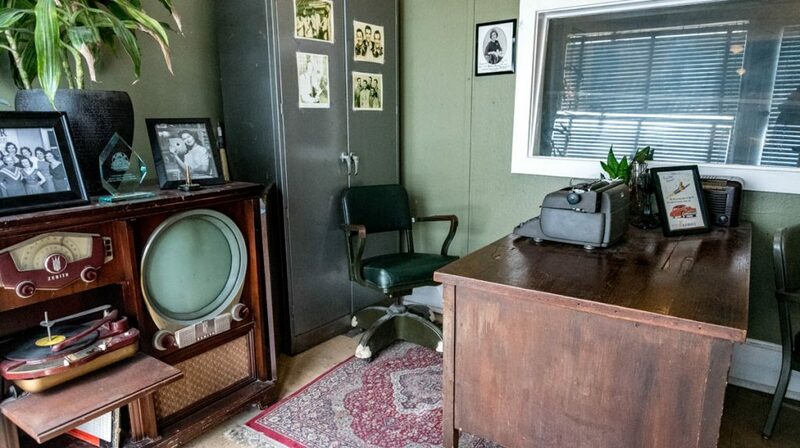 There is everything from school report cards and telegrams to clothes he wore. 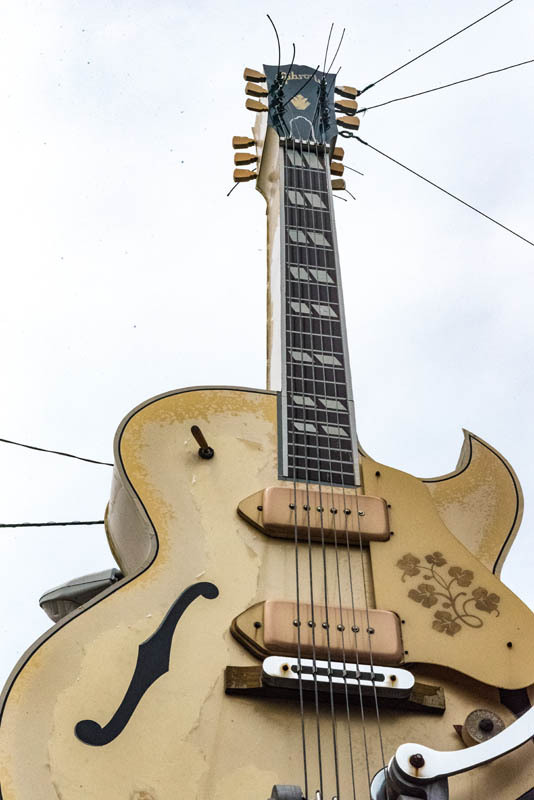 There’s also the gold top Gibson, which is replicated in a larger than life form, fastened off the side of the building. The rich history is brought to life by the passionate guide with the help of audio recordings of the greats telling their stories or through short snippets of the classic tracks referenced. The tour continues downstairs where Marion Keisker served as studio manager, book keeper, gate keeper and talent spotter. 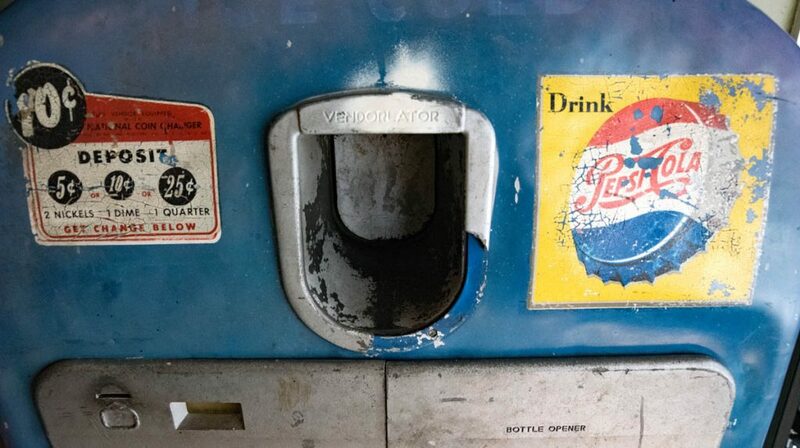 The office remains as a time capsule complete with historically accurate Pepsi vending machine. But it’s beyond the glass that lies the true magic. In this simple, high roofed, very basically sound treated room with its bright tiles history was made. 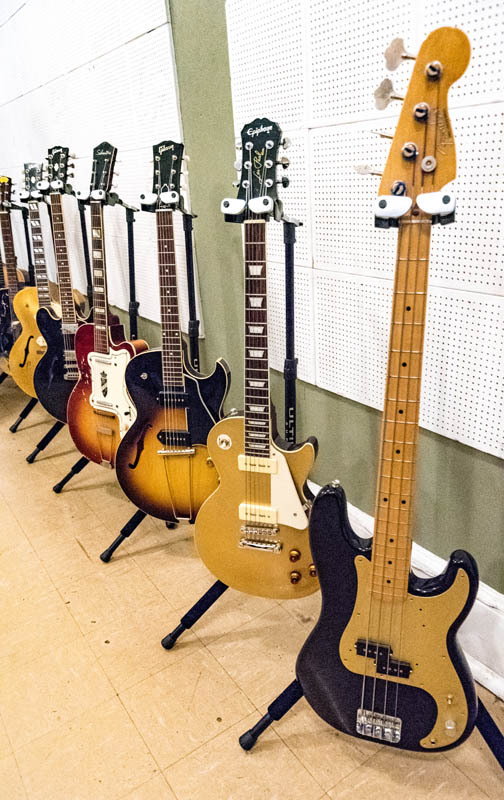 Black tape crosses on the floor indicate where Elvis’s band stood when they recorded ‘That’s Alright’ and audio recordings from the session capture between track banter that of you shut your eyes, it’s like you’re in the room with them. 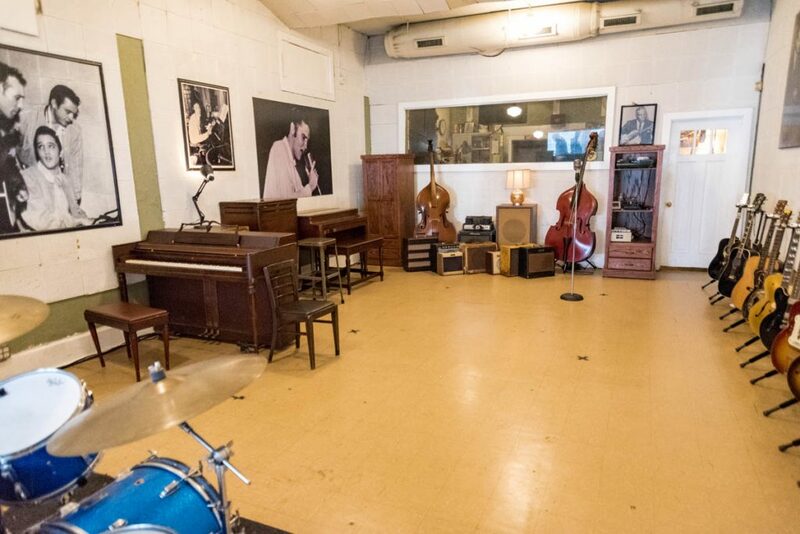 And the magic lives on today, from the Million-dollar Quartet, a Sam Phillips publicity stunt when he captured a jam session at Elvis’s height, joined by Jerry Lee Lewis, Johnny Cash and Carl Perkins through to the joy the tour group shares in a general Elvis singalong. 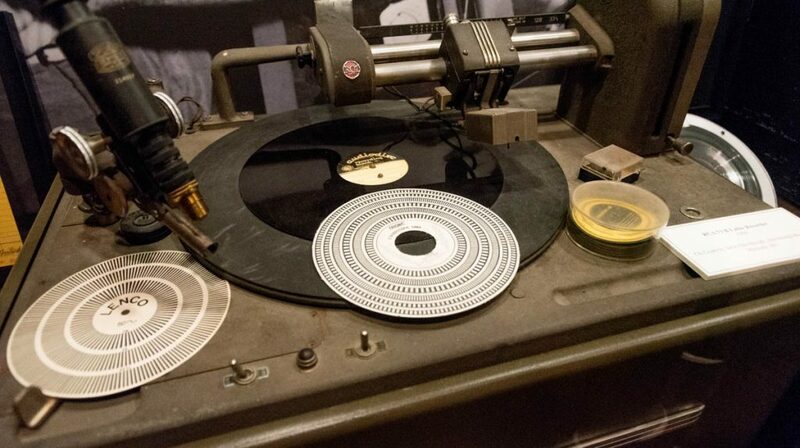 Techno may have punched rock in the guts recently but it’s far from a rotting corpse. 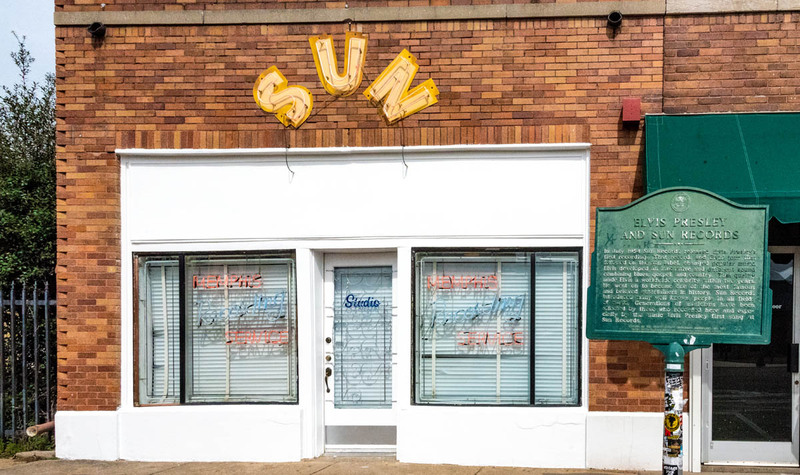 Sun Studio is open 7 days a week from 10am – 6:15pm. 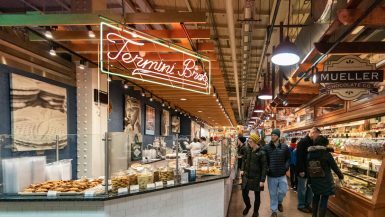 Tours begin at the bottom half of every hour from 10:30 – 5:30.